Interactions between drugs is a growing problem. Particularly as the population age and the number of drugs (or over the counter treatments and supplements) prescribed increases it is more and more likely that interactions between one or more drugs could result in serious side effects. Of course the FDA keeps records of reported interactions and we all hope that our pharmacist is keeping an eye out for known interactions. But recent studies have shown that there is another source of finding hidden drug interactions: web searches. Researchers from Stanford University in California mined the FDA’s database of adverse drug effects and found that two commonly used drugs – the antidepressant paroxetine and pravastatin, used to lower cholesterol – when used in combination puts patients at risk to develop diabetes. The research into refining how to conduct such an analysis and the work from analyzing the FDA’s adverse drug effects database resulted in 47 previously unreported drug-drug interactions being detected and reported. This is great, but of course many adverse effects may be noticed by patients and not mentioned to a doctor let alone reported to the FDA. That is where the new research on web searches come in. The researchers from Stanford analyzed web search logs from 2010 (before the paroxetine-pravastatin interaction was discovered) and found that there was a clear spike in searches of symptoms of diabetes and these drug names. It is interesting and useful that researchers found a combination of drugs and symptoms that when searched together indicated a drug-drug interaction. But what I find most interesting is that the researchers were able to mine the web search logs and detect the drug-drug interaction even when the searches of the drug names and symptoms were made separately, even days or weeks apart. 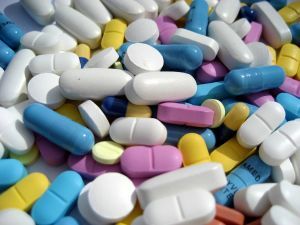 This type of data mining could be an important part of the arsenal to detect drug-drug interactions earlier and before more people suffer from the interactions.